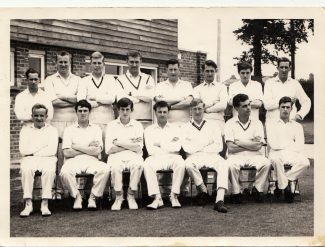 Here are a couple of photos of Tilbury C.C who played for many years at the Daisy Field until unfortunate circumstances made them re-locate to Blackshots playing field. the club disbanded in their centenary year 2001. Crossed Hearts was originally conceived by Don Crossley and Ken Harts. It was a touring club touring Hampshire and Dorset in their early years. The club had a membership of players from various clubs within the borough. how is my old friend Bill Spooner (on picture 1) and his wife June from Stanford-le-Hope? The two photos are of the Crossed Hearts, There were members of the Tilbury Cricket Club with other cclub members that madeup the Crossed Hearts. The players in the top photo are back row left to right John Wright,Peter Moore,Gary Pilkington,Henry Revell, Bill Spooner,Ray Smallcombe,Doug Crowley and Alan Weekes. 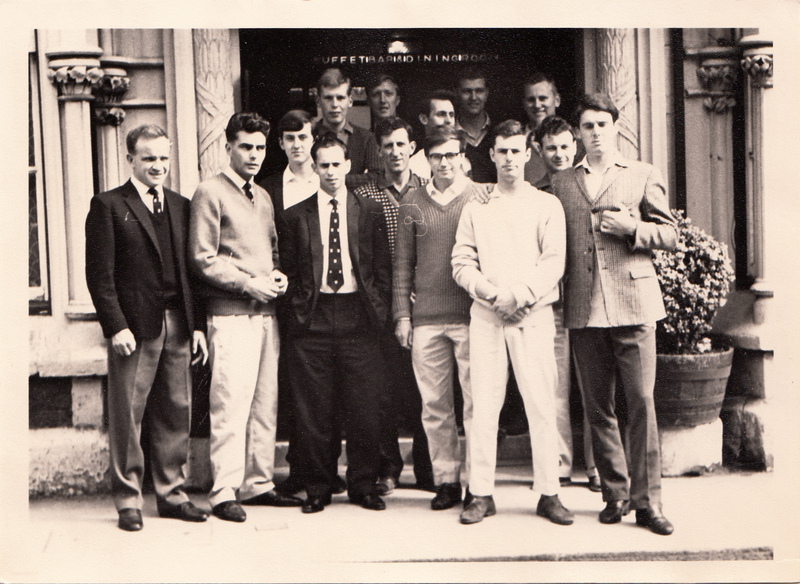 Front row Peter Collins, Peter Bloss,Eddie Jones,Roy Pearce, Tony Downey, John Gaylor and Don Crossley. The second photo is of the same group about to hit the town.